NBMA | CCIE, the beginning! In this third part of the document “Multicast over FR NBMA” we will see how with an RP in one spoke network and MA in the central site we can defeat the issue of Dense mode and forwarding service groups 224.0.1.39 and 224.0.1.40 from one spoke to another. Such placement of the MA in the central site as a proxy, is ideal to insure the communication between RP and all spokes through separated PVCs. In this LAB the RP is configured in SpokeBnet (SpokeB site) and the mapping agent in Hubnet (central site). As an example SpokeA across the HUB and FR cloud has received the Group-to-RP mapping information and updates its records. 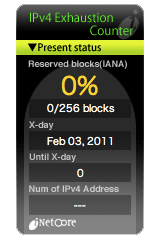 (*, 239.255.1.1) – This is the shared tree built between the receiver and rooted at the RP (incoming interface=null), the flag “J” indicates that the traffic was switched from RPT to SPT. (10.10.10.1, 239.255.1.1) – is the SPT in question receiving traffic through Fa0/0 and forwarding it to Fa1/0. Both (*, 224.0.1.39) and (*.224.0.1.40) are flagged with “D” which means that they were multicasted using dense mode, this is the preliminary operation of auto-RP. ClientB is receiving the multicast traffic as needed. This is the second part of the document “multicast over FR NBMA”, this lab focus on the deployment of PIM NBMA mode in a HUB and Spoke FR NBMA network with static Rendez-vous Point configuration. Figure1 illustrates the Lab topology used, the HUB is connected to the FR NBMA through the main physical interface, SpokeA and SpokeB are connected through multipoint sub-interface, the FR NBMA is a partial mesh topology with two PVCs from each spoke to the HUB main physical interface. PIM-Sparse mode is used with Static RP role played by the HUB. !! OSPF protocol have to be consistent with the Frame Relay ! !topology, in this case it is HUB & Spoke in which traffic destined ! !to spokes will be forwarded to the HUB then from there to the !!spoke. According to the two previous outputs, The spokeB (PIM-DR) has joined the shared (RPT) tree rooted at the RP/Core (the HUB) and the traffic across this shared tree is entering the FR interface and forwarded to the LAN interface Fa1/0. Because it is a static RP configuration there is only one multicast group service 224.0.1.40 through which a shared tree is built for PIM-SM routers to communicate with the RP. Note that for all RPT and SPT the HUB consider two “next-hops” out of the same Serial0/0 interface, this is the work of PIM NBMA mode that makes the layer3 PIM aware of the real layer 2 topology which is not Broadcast but separated “point-to-point PVCs”, as against using only pseudo broadcast that will give the layer 3 an illusion of multi-access network. Because the shared tree (*,239.255.1.1) is originated locally, the incoming interface list is null. A source routed tree (10.10.10.1, 239.255.1.1) is also built between the source and the RP. SpokeA has received the first packet through the RP, then switched to SPT (10.10.10.1, 239.255.1.1). In this scenario the SpokeB play the role of the RP. The new static RP should be configured on all routers, 192.168.103.1 is a SpokeB loopback interface and it is advertised and reached from everywhere. Now the multicast traffic received by SpokeB client is forwarded through the new RP (SpokeB) which is in the best path from the source to the receiver. This lab focus on Frame Relay NBMA, Non-Broadcast Multiple Access… the confusion already begin from the title : ) a multiple access network shouldn’t support broadcast? In this first part I will try to describe the problematic forwarding of multicast over FR NBMA as well as different solutions to remediate to the problem, subsequent parts will focus on the deployment of those solution. Well, the issue is a result of the difference between how layer2 operates and how layer 3 consider the result of layer2 functioning. Let’s begin by the layer2, in the case of Frame Relay it is composed of Permanent Virtual Circuits each one is delimited by a physical interface in the both ends and a local Data Link Connection identifier (DLCI)mapped to each end; so there is no multi-access network at all at the layer 2, just the fact that multiple PVCs ends with a single physical interface or sub-interface gives the illusion that it is a multiple access network (figure1). With such configuration of multipoint interfaces or sub-interfaces a single subnet is used at the layer 3 for all participant of the NBMA which makes the layer think that it is a multiple access network. Let’s precise that we are talking here about partial meshed NBMA. All this misunderstanding between layer2 and layer3 about the nature of the medium makes that broadcast and multicast doesn’t work. 1 – “Pseudo broadcast” – IOS feature that emulates the work of multicast. In fact a physical interface has two hardware queues (figure2) one for unicast and one (strict priority) for broadcast traffic, and because the layer 3 think that it is a multi-access network it will send only one packet over the interface and hope all participants in the other part will receive that packet, which will not happen of course. Do you remember the word “broadcast” added at the end of a static frame relay mapping? This activate the feature of pseudo broadcasting, the router before sending a broadcast packet, will make “n” copies and send them to the “n” spokes attached to the NBMA whether they requested it or not. Finally such mechanism is against the concept of multicasting, therefore pseudo broadcast can lead to serious issues of performance in large multicast networks. Another issue with pseudo broadcast in an NBMA HUB & spoke topology is when one spoke forward multicast data or control traffic that other spokes are supposed to receive, particularly PIM prune and override messages. The concept is based on the fact that if one downstream PIM router send a prune message to the upstream router, other downstream routers connected to the same multi-access network will receive the prune and those who still want to receive the multicast traffic will send a prune override (join) message to the upstream router. As we mentioned before the HUB is capable of emulating multicast by making multiple copies of the packet, but only for traffic forwarded from HUB internal interfaces to the NBMA interface or just generated at the HUB router, but not if traffic is received from the NBMA interface. Conclusion è do not use PIM-DM nor PIM-SPARSE-DENSE (auto-RP) mode with pseudo broadcasting, however you can use PIM-SM with static RP. 2 – PIM NBMA mode – makes more clear relationship between layer2 and layer3, NBMA mode will tell “the truth” to the layer 3: that the medium is in reality not a multi-access but a partial meshed NBMA so PIM can act accordingly. The router now will track IP addresses of neighbors from which it received a join message and make an outgoing interface list of such neighbors for RPT (*,G) and SPT (S,G). PIM NBMA mode still do not support DENSE mode nevertheless it is possible to use Auto-RP with PIM-SPARSE-DENSE mode ONLY if you make sure that the mapping agent is located on the HUB network so it can communicate with all spokes. 3 – Point-to-point sub-interfaces – If you want to avoid all previously mentioned complications with multipoint interfaces in an NBMA HUB & Spoke, you can choose to deploy point-to-point sub-interfaces, spokes will be treated as they are connected to the HUB through separated physical interfaces with separated IP subnets and the layer 2 is no more considered multi-access. 4 – GRE Tunneling – I would like to mention another alternative by keeping the NBMA multipoint FR interface with all that can be considered as advantages such saving IP addresses, and just make it transparent by deploying tunnel technology multipoint-GRE. With a multipoint GRE logical topology over the layer3 in which multicast will be encapsulated inside GRE packets and forwarded as unicast and decapsulated at the layer3 on the other side of the tunnel without dealing with layer2. The complexity of DMVPN resides in the multitude of concepts involved in this technology: NHRP, mGRE, and IPSec. So to demystify the beast it crucial to enumerate the advantages, disadvantages, and conditions related to different NBMA topologies and their evolution. – Ease of configuration on spokes, only HUB parameters are configured and the HUB routes all traffic between spokes. – Memory and CPU resource consumption on the HUB. – Static configuration burdensome, prone to errors and hard to maintain for very large networks. – Lack of scalability and flexibility. – No security, network traffic is not protected. – Each spoke is able to communicate with other spokes directly. – Additional memory and CPU resource requirements on branch routers for just occasional and non-permanent spoke-to-spoke communications. – Lack of scalability: need static configuration between each spoke and the HUB in a HUB and Spoke topology; and between each pair of spokes in a full/partial mesh topology. – GRE supports IP broadcast and multicast to the other end of the tunnel. – GRE is a unicast protocol, so can be encapsulated using IPSec and provide routing/multicasting in a protected environment. – A single tunnel interface can terminate all GRE tunnels from all spokes. – No configuration complexity and resolves the issue of memory allocations. – Static configuration burdensome, prone to errors and hard to maintain. – IPsec doesn’t support multicast/broadcast, so cannot deploy routing protocols. – Need pre-configured access-list for interesting traffic that will trigger IPSec establishment so need manual intervention in case applications changes. – IPSec establishment will take [1-10] seconds, hence packet drops in the beginning. – Ease of configuration on spokes, only HUB parameters are configured and the router routes all traffic between spokes. – Static configuration burdensome, prone to errors and hard to maintain in very large networks. – IPSec needs pre-configured access-list for interesting traffic that will trigger IPSec establishment. – IPSec establishment will take [1-10] seconds, so packet drops. Whether it is GRE, mGRE, Hub and Spoke, full mesh, on HUB or on spokes, tunnel establishment require pre-configured tunnel source and destination. Here comes NHRP (Next-Hop Resolution Protocol). NHRP is used by spokes when startup to provide the HUB with the dynamic public ip and the associated tunnel ip. NHRP is used by the HUB to respond to spokes requests about each other public ip addresses. So the overall solution will be Point-to-multipoint GRE + IPSec + NHRP which is called DMVPN (Dynamic Multipoint VPN). I reserved a separated sub-category called “DMVPN” inside the parent category “Security” in which I will post the previously mentioned topologies.